Since implementing GoSpotCheck three years ago, PepsiCo has seen marked improvements in the responsiveness of its frontline field teams. With 22 brands generating more than $1 billion in retail sales each year, PepsiCo has an international footprint that rivals any multinational corporation in the world. Some of the household names included in their stable of consumer-focused brands include Pepsi, Gatorade, and Quaker. Supermarkets and pantries across the globe are filled with their many product lines. However, such incredible heights of success bring their own set of challenges. The direct-store-delivery (DSD) arm of PepsiCo's operations is extremely complex, involving 4,000 frontline staff members working in the field on any given day. These employees support multiple facets of PepsiCo's business objectives by routinely checking inventory, product placement, and ongoing promotions, among many other responsibilities. PepsiCo's journey to field management nirvana can be traced back to its broader goal of overhauling processes and workflows to embrace complete digital transformation. With more software and tools at their disposal, it's simply counterproductive to rely on outdated, manual processes to conduct day-to-day business. This is no more apparent than with PepsiCo's DSD field management procedures. Working on the ground level of PepsiCo's DSD efforts, the company’s field teams are essential to the corporation's day-to-day operations as well as its long-term marketing and engagement strategies. These employees need to perform at the highest level possible and provide up-to-the-minute updates on store inventory, sales figures, and other key performance metrics. PepsiCo encountered a number of pain points in its daily DSD workflows that needed to be addressed to eliminate inefficiencies and drive the business to new heights of success. There were far too many manual processes that led directly to delays and bottlenecks. Because they were all done by hand, field surveys took weeks to complete, gather, and analyze. Those delays impeded opportunities to make strategic changes and capitalize on recent trends. Ultimately, PepsiCo needed an execution management solution that could incorporate more automation into workflows and processes. While the company’s field teams did quality work with existing workflows and processes, organizational leaders knew there was a better way to conduct business. They just had to find it. GoSpotCheck met all of this criteria and then some, standing head and shoulders above other available options as a true business partner. Since implementing GoSpotCheck three years ago, PepsiCo has seen marked improvements in the responsiveness of its frontline field teams. With the help of automated surveys, audits, and other tasks, employees collect data and send reports faster than ever before. changes with the very latest information. GoSpotCheck also helps PepsiCo obtain instantaneous feedback from their DSD partners, rather than waiting weeks to receive field reports and audits. With that information in hand, the corporation can close execution gaps in a speedy manner and further drive field team performance and productivity. Overall, GoSpotCheck empowers PepsiCo in four major areas: strengthening bonds with customers and partners, assessing strategies and responding appropriately, improving employee productivity, and focusing on strategic goals. The level of insight provided by GoSpotCheck has allowed PepsiCo to strengthen its relationships with various customers and business partners. If a customer comes to them with a particular concern or problem, PepsiCo can lean on GoSpotCheck to dig deeper into the source of that issue and identify an effective solution. Furthermore, GoSpotCheck facilitates more transparent communication and collaboration with PepsiCo's key partners. If a partner requests to see the results of a specific promotion or incentive program, PepsiCo can leverage GoSpotCheck to generate quantifiable performance metrics and incisive reports. "GoSpotCheck is really focused on how they can partner with an organization to drive business,” Holland stated. One of the most difficult challenges PepsiCo historically encountered with its DSD operations was quickly and efficiently determining if current strategies were working effectively. The information gathered through GoSpotCheck allows the organization to clarify whether or not their field management strategies are providing true, tangible value. With those key insights, PepsiCo stakeholders can make whatever course corrections are necessary to get things back on track. That may include, for instance, reviewing the effectiveness of sales and promotions on the ground level and across different markets. GoSpotCheck provides more insight into regional differences regarding consumer behavior and product preferences, helping PepsiCo ship inventory in the most effective and efficient way possible. That insight is also invaluable when trying to extend its national and global footprint. 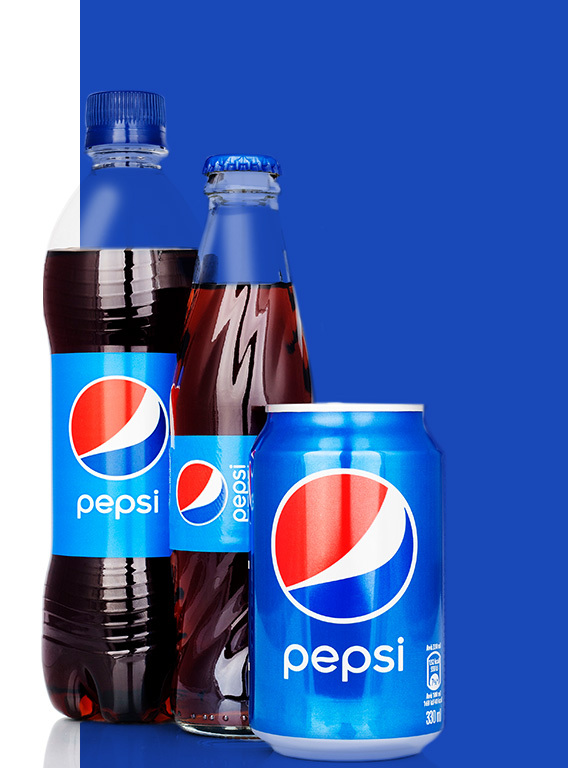 Leveraging ground-level data and performance metrics, PepsiCo can accurately determine if its attempts to break into new and niche markets have been successful or if a shift in strategy is required. The benefits of GoSpotCheck have not been limited to those with more strategic goals in mind. While using GoSpotCheck, PepsiCo's field teams have enjoyed some tangible improvements to their day-to-day responsibilities. PepsiCo’s use of GoSpotCheck Missions, the core of the GoSpotCheck solution, removes tiresome, manual processes that would otherwise take a great deal of time to perform. 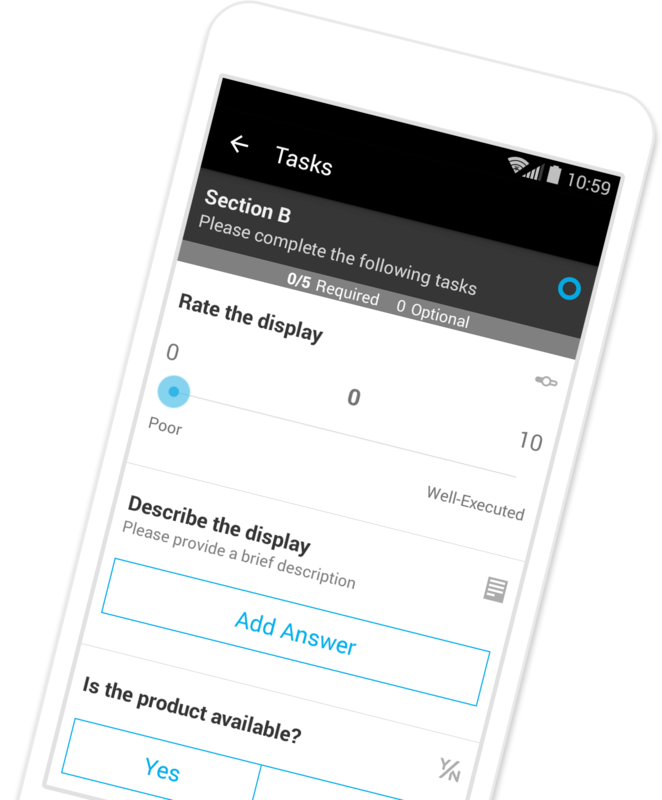 Missions connect people, places, and tasks, and operate as a survey or audit to gather store-level intel, real-time feedback, and more. "One of the constant themes we hear back from our frontline users is that they can go into the GoSpotCheck application and complete a Mission in a very efficient time frame,” Holland noted. PepsiCo’s new streamlined workflows, that heavily utilize Missions, eliminate related headaches and allow frontline employees to be more productive on a daily basis. GoSpotCheck also helps field team managers reduce the amount of pushback they encounter when tasking employees to conduct surveys and audits. Frontline workers are far more likely to carry out responsibilities without reservation now that the entire process has been significantly improved and streamlined. When organizations rely on manual processes, they invariably spend far too much time collecting information and not nearly enough time analyzing that data and gleaning valuable insights. By automating and simplifying field management processes through GoSpotCheck, PepsiCo teams can devote more time, energy, and focus on tackling their strategic goals and growing the business. In GoSpotCheck, PepsiCo found a business partner that truly understands the intricacies of its industry and marketplace. "GoSpotCheck shares our vision to continue leveraging technology to ensure we're providing best-in-class execution as an industry leader and further driving innovation,” said Holland. 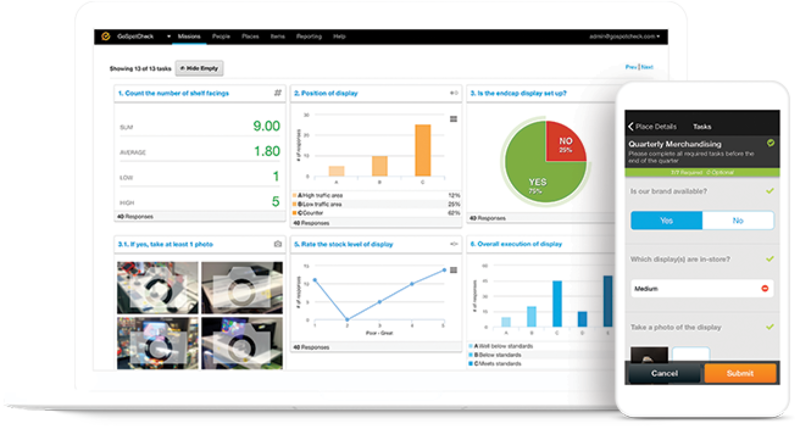 That continued dedication to best-in-class solutions has made GoSpotCheck the ideal execution management tool to meet PepsiCo's needs today and into the future.